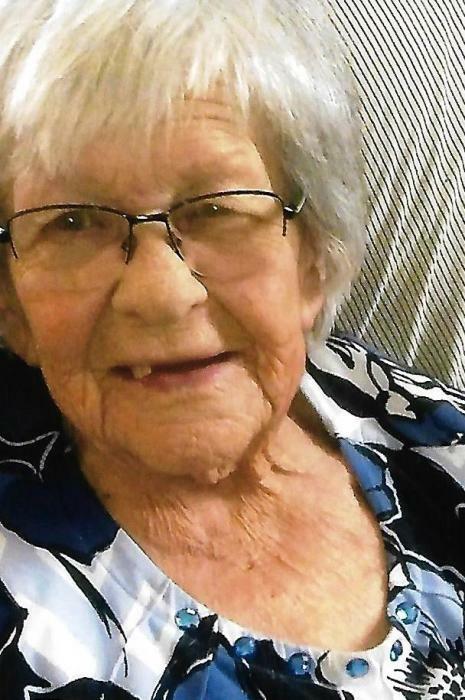 Naomi Lucille Counterman, 91, of Rockford, Ohio, died Tuesday evening, January 29, 2019, at the Laurels of Shane Hill in Rockford. She was born April 15, 1927, at home in Hopewell Township, Mercer County, Ohio, the daughter of Raymond Edward and Ocie Mae (Wurster) Smith. Ocie passed away in 1960, and Raymond then married Thelma Wurster; both are now deceased. Naomi graduated from Neptune High School, and on April 17, 1948, she married Edwin Counterman, who preceded her in death on May 18, 1989. Naomi lived in the area most of her life. She not only was a wife, mother, and homemaker, but she worked on the farm beside Ed, and continued farming after Ed died. She was a very active member of the former East Bethel Evangelical Church, where she was a member of the Ladies’ Aid, a Sunday School teacher, and a Bible School teacher. She then became a member of the former Grace United Methodist Church. She worked at Sharp Canning Company and also worked in her later years at Walmart where she retired at the age of 88. She was very active throughout her life. She loved gardening, crocheting, and sewing. Most of all, she loved spending time with her family. She always looked forward to her drives with her family, seeing the sights and the changes that were taking place in the area.